Laguna Beach, California is a picturesque seaside community with long roots into the history and pre-history of the United States. However the area first became more permanently settled following the American Civil War and the city was officially established in 1881. By the early 1900s, the area had already developed into a tourist destination. By the 1920s or 1930s, the area established itself as a haven for artists, filmmakers, and others involved in creative work. In the 1960s and 1970s the area served as an epicenter of the counterculture that swept the nation at the time. Today Laguna Beach is home to a diverse community of artists, bohemians, visitors, and wealthy individuals. In fact, the south of Laguna Beach is home to the luxurious Three Arch Bay which has been featured in Academy Award winning films. The creative and generally wealthy community of Laguna Beach is more likely to travel and spend extended periods of time in foreign countries. This may lead to the establishment of financial accounts in foreign jurisdictions. If you are unaware of the obligations these accounts may create, they can lead to serious tax problems and civil or criminal consequences. Working with an experienced tax professional can help you maintain compliance with foreign disclosure laws or to mitigate the consequences of past noncompliance. I Have a Foreign Financial Account – How do I Maintain FBAR Compliance? As a US person – typically a citizen, green card holder and certain other aliens – you have an obligation to file Report of Foreign Bank and Accounts (FBAR) every year by June 30. The FBAR obligation was created by the Bank Secrecy Act, a law that originally targeted money laundering. The FBAR disclosure provisions are also intended to defeat the efforts of those who use offshore accounts to conceal assets or income to evade tax. In general, the obligation to file FBAR arises when a US person either hold an interest in or signature authority over one or more foreign financial accounts. When the aggregate balance of these accounts exceeds $10,000, the obligation to disclose the accounts exists. It is irrelevant that the amount in excess is $1 or $100,000 – any amount in excess of the $10,000 threshold will trigger the obligation. Even a momentary crossing of this threshold will trigger the disclosure requirement, there is no minimum amount of time the account must remain in excess of $10,000. The filing obligation can only be accomplished online by filing FinCEN Form 114. What Consequences can I Face for an FBAR Compliance Failure? Penalties for failing to satisfy one’s FBAR filing obligation are harsh. However the level of severity is dependent on whether your failure to file is willful or non-willful. Each non-willful failure can be punished with a fine of $10,000 for each year the account remained undisclosed. While one or more $10,000 penalties are harsh, these consequences pale in comparison to a willful failure. Willful failures involve the voluntary or intentional disregard of a known legal duty. A violation of this type can result in penalties of the greater of 50% of the account balance or $100,000. Because past tax years can also be examined, the fines and penalties for willful FBAR nondisclosure will typically exceed the account’s original balance. Furthermore those facing FBAR violations may not have the records to support their assertions. This can result in criminal charges for failure to keep required tax records by individuals holding foreign accounts under 31 CFR 1010.420 (formerly 103.32). The Offshore Voluntary Disclosure Program (OVDP) permits noncompliant taxpayers to voluntarily come forward and disclose their FBAR and other forms of offshore tax noncompliance. In exchange for the voluntary disclosure that reduces investigation and enforcement costs, and payment of an offshore penalty, the IRS is typically willing to forego criminal prosecution. OVDP may result in more favorable outcomes in comparison to when IRS identifies a problem and launches its own inquiry. 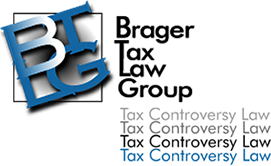 The tax professionals of the Brager Tax Law Group can resolve serious tax problems created by offshore accounts. To work with an experienced tax professional call 800-380-TAX-LITIGATOR or contact us online.